Homecoming week festivities will begin on Monday, September 23 and will continue through the week. On Monday, students will be able to wear homecoming T-shirts from 2013 and years past. The high school will begin playing the game “Marked” throughout the day. At 7pm, the movie “Rudy” will be shown in the courtyard, weather permitting. Tuesday will be class colors day. Freshmen will be wearing red, sophomores will be wearing green, juniors will be wearing orange, and seniors will be wearing pink. Everyone will still be playing “Marked” along with the pin-game. The girls will be able to get pins in the atrium before school, and the boys will be looking to take the pins from them. The person with the most pins wins. There will be a scavenger hunt in House and an after-school Capture-the-Flag game beginning once school is out for the day. At 7pm, students are encouraged to attend the varsity girl’s volleyball game, where Providence will take on Rockford. On Wednesday, students are encouraged to wear classic prep clothing. “Marked” will continue throughout the day. There will be a pep fest during activity period, which will feature the long-awaited Spirit Squad and Football player dance as well as the fall sports video of the teams dancing to “Call Me Maybe”. At 4pm, the varsity girl’s tennis team is playing Mounds Park, and students are encouraged to attend the match. At 7pm, junior girls will face off against the senior girls in the annual Powderpuff game. Thursday will be an all school mass, so the upper school will not have an out of uniform day. “Marked” will again continue throughout the day. At 4:30pm, students are encouraged to watch the varsity boy’s soccer team play Concordia. Praise, Worship, and Adoration with the NET Team will be held in the chapel from 7-8:30pm. Spirit wear can be worn on Friday, and the game of “Marked” concludes. At 7pm, the varsity boy’s football team plays Minnehaha, and there will be a bonfire following the game until 11pm. 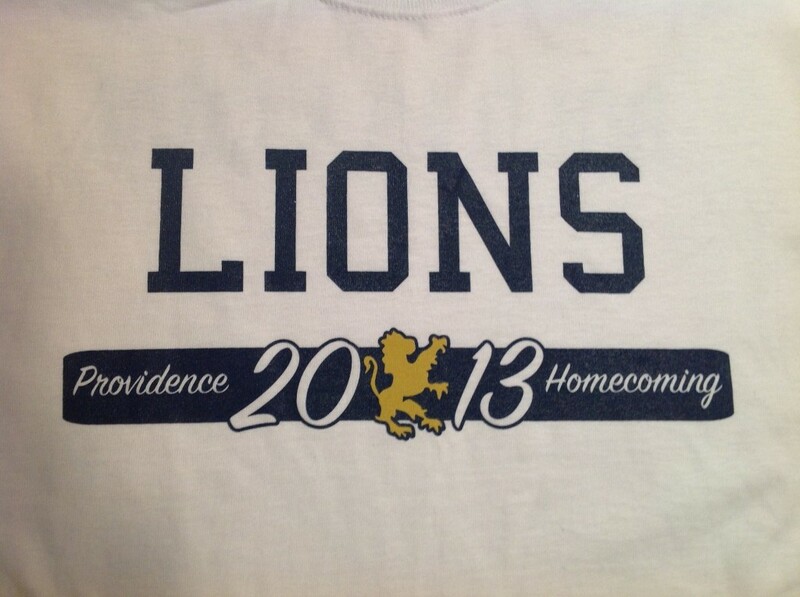 Saturday will conclude the 2013 Homecoming week at Providence Academy. From 8-11pm, there will be a semi-formal, non-themed dance.